Has there ever been a creature that loves you more than your pet? We think not. With Valentine’s Day just around the corner, it’s only natural to consider the furry loves in our lives. We don’t mean by sending love grams or staging a candlelit dinner. Though your pets might love a new squeaky toy or stuffed animal, the best gift we can give them on this holiday is the gift of safety. Some of Valentine’s Day’s kindest gestures could prove detrimental to your pet’s health, but by keeping a watchful eye, you can ensure a safe and love-filled holiday. Whether it comes in bar, bag or box, your dog only sees one thing: food. 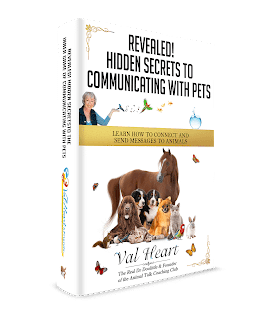 Before you toss that heart-shaped box on the table for all to admire, know your pet’s have been admiring its contents with vigor. Unless the treats are made of carob, chocolates are among the top hazards of the season. In fact, reports by Trupanion pet insurance state they received 35 chocolate ingestion and toxicity claims in February 2013 — more than one per day. Though dangerous for cats too, dogs are more likely to be the culprits of cocoa theft. Hazard Alert: Chocolate is packed with high amounts of fat, caffeine and methylxanthines like theobromine — a stimulant that can be dangerous to dogs when eaten and can cause vomiting, diarrhea and an accelerated heart rate among other symptoms, according to Dogtime.com. Flower bouquets are a Valentine’s Day favorite. But, some plants and flowers, if ingested, can be harmful to our pets. For many dogs, the solution is as simple as keeping bouquets out of reach. However, our feline friends have mastered the art of counter surfing a little better than canines. Athletic prowess makes cats more likely to get into the carefully arranged flora that grace our table tops on this day. Hazard Alert: Though beautiful and romantic lilies tend to be the most harmful to cats. The ASPCA explains lilies contain a toxin in the petals, leaves, pollen and even the water in the vase that are extremely toxic to cats and cause acute kidney failure within a day or two of exposure. Dogs should also stay away from these pretty petals, however, if ingested by your pup it will likely only result in a mild tummy ache. Safety Tip: When sending a floral arrangement, specify that it contains no lilies if the recipient is a cat owner. Instead, opt for non-toxic flowers like romantic red roses or beautiful hydrangeas that don’t pose a threat if ingested. Though chocolates and flowers pose the biggest threats to your pets, pet owners should be aware of lesser-known hazards surrounding Valentine’s Day celebrations. Be weary of candlelight dinners, adult beverages, and even ribbon when partaking in holiday fun at home. Keep in mind that kitties tend to be curious of flames, and puppies love to chew on just about anything. Be sure to keep Fido and Fluffy away from potential hazards and they’ll be sure to feel the love all year long.